Business Bank of Texas, N.A. is dedicated to meeting the ever changing needs of today’s business owners by providing responsive, personal and real–time business banking. We are specialized, focusing exclusively on banking services for business. This means that every customer interacts with staff that is knowledgeable and experienced in meeting the needs and challenges specific to business customers. In addition to traditional banking services, we provide commercial lending options, cash management, and concierge services. Our online, remote banking business model, helps us keep our overhead, service rates, and fees low while enabling 24/7 online banking and remote deposit capture. Business Bank of Texas, N.A. is a National Bank with excessive Capital Strength. We serve customers throughout the US with a concentration in the Central Texas area. The bank has relationship officers in Austin and San Antonio. 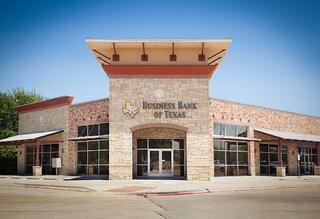 In 2012, Business Bank of Texas, N.A. was rated as one of the safest banks in the nation by MSN and was recently named the #1 small business bank in Austin, Texas by Banking Grades. For our complete company overview please download this PDF.